Google today released a major update to the Google Pay app and service. 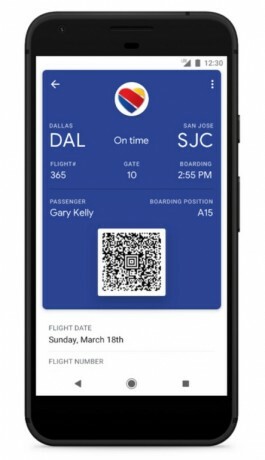 Google Pay now supports one-time tickets with QR codes, such as airline boarding passes and concert tickets. In the app, they appear in a new "Passes" tab, along with loyalty and gift cards. The Google Pay app also now lets you send money to friends, a feature that was previously available only with a separate Google Pay send app. Now that Google Pay Send is combined with Google Pay, the new unified app also supports bill splitting. You can tap on any recent payment and a "Split the cost" button lets you request money from up to five people. An iOS version of Google Pay supports these friend payments. Google also revamped the Google Pay web site. Commuters who ride select Long Island Railroad or Metro-North routes can use the Metropolitan Transportation Authority's new eTix app to purchase, activate, and use train tickets. The MTA says mobile ticketing is available to those who ride LIRR's Port Washington branch or Metro-North's Hudson Line, with support for all branches/lines due by the end of August.